Parking: Public parking located near the hotel. The Hotel Infante de Sagres is a 5* hotel located in the city centre. The hotel’s stylish décor, understated luxury and prime location make it a perfect haven for relaxation and a delightful holiday getaway. With 70 sumptuously decorated rooms and a wellness centre, the hotel also has a restaurant offering a delicious range of traditional Portuguese cuisine. The contemporary design and historical décor make for a perfect urban retreat. 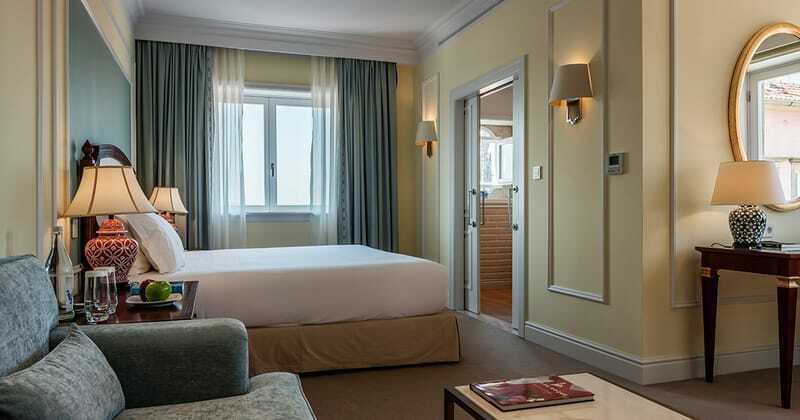 Hotel Infante de Sagres is located in Porto, the Port capital of Portugal. It is conveniently situated in an ideal environment which allows guests to explore all sorts of historic and cultural sights, with easy access to urban transport (metros, trams and buses.) 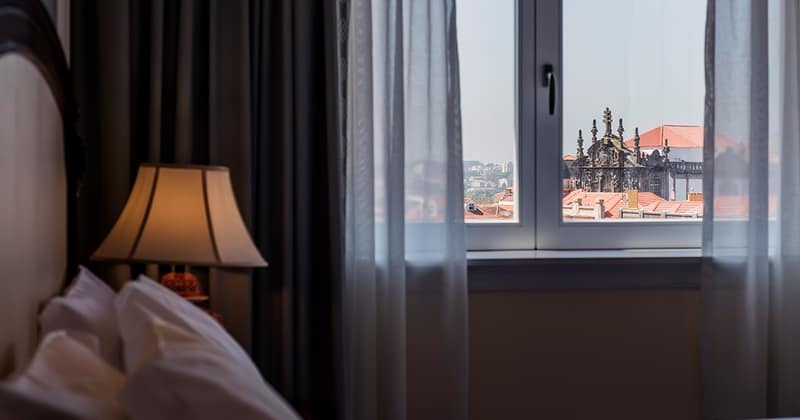 Porto is a historic and lively city and homes City Hall, a delightful UNESCO world heritage site, which is located a few metres from the hotel! This Hotel offers a top quality service which prioritises the comfort of their guests. With its range of meeting rooms and relaxation opportunities, this hotel is perfect for all whether it’s a business trip or a relaxing break! Facilities such as the spa and wellness centre encourage guests to unwind and let their worries float away. Guests can also enjoy a variety of traditional Portuguese cuisine at the hotel’s delightful restaurant. The Hotel Infante de Sagres invites you to sit outside and enjoy the sunshine with a large terrace allowing you to enjoy the pleasant climate of Porto. Furthermore, for your relaxation there is a bar which has a sophisticated design and creates an intimate atmosphere for those who would like to try the specialised Port and Douro wines of Porto. Each room is tastefully decorated with original antiques matched with modern art, creating a luxurious stay. Each room is equipped with air conditioning, a safe, TV, telephone, as well as luxurious bathroom amenities.